2. Press Talk/Send and your call will be connected! Notice: The 1-Clic™ Number can be dialed directly from your mobile phone book or set up as Speed Dial on the handset. (This function operates differently depending on handset make and model). You can register and use up to 30 1-Clic™ Numbers FREE of charge. Notice: Do not press TALK/SEND after dialing the destination number when using mobile phones. When you press "TALK/SEND" after dialing the destination number, you will put Lunex on hold and the line will be connected to your destination number via your mobile service provider. This could become very expensive since most international rates calling from a mobile phone are very high. 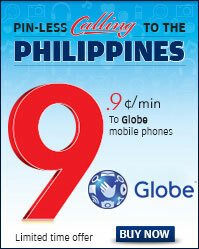 If dialing Toll Free Access Number, an additional 2 cents per minute will apply.